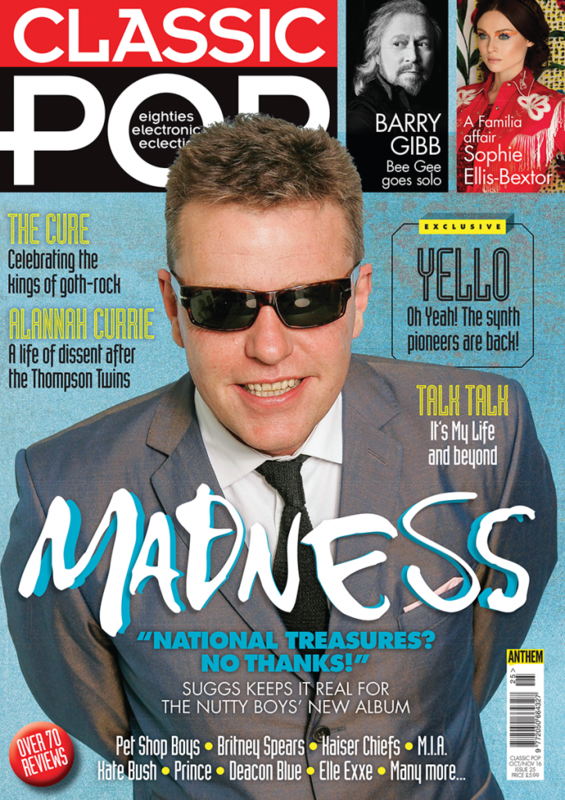 Gracing our cover is Madness frontman Suggs, who’s on feisty form in our exclusive interview. “National treasures? 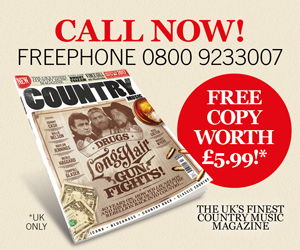 No thanks!” he tells John Earls as the band prepare to release their superb new album and play to sell-out crowds in their autumn arena tour. Elsewhere, we take an in-depth look at the career of The Cure as they evolved from introspective goth rockers to chart-topping stadium giants. XTC’s classic album Skylarking goes under the microscope as we trace the tortured story of how Swindon’s finest battled in the studio with producer Todd Rundgren. 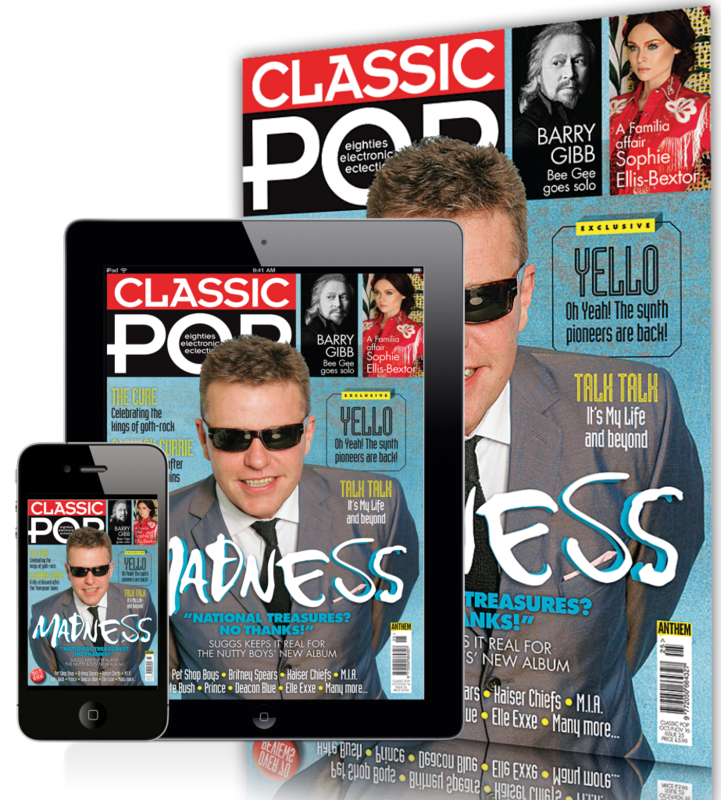 Classic Pop welcomes 80s titans Yello back into the fold as we meet Dieter Meier and Boris Blank at their Zurich studio ahead of new album Toy and we get the lowdown on Sophie Ellis-Bextor’s diverse new album Familia from the singer herself. The Thompson Twins’ Alannah Currie tells Jenny Valentish about her band’s remarkable rise from squatters to playing Live Aid with Madonna on backing vocals – Currie’s now making a name for herself as an innovative and provocative conceptual artist. Our reviews section is packed with new albums including Britney Spears, Elle Exxe and M.I.A plus major boxsets from Human League and Marc Almond. 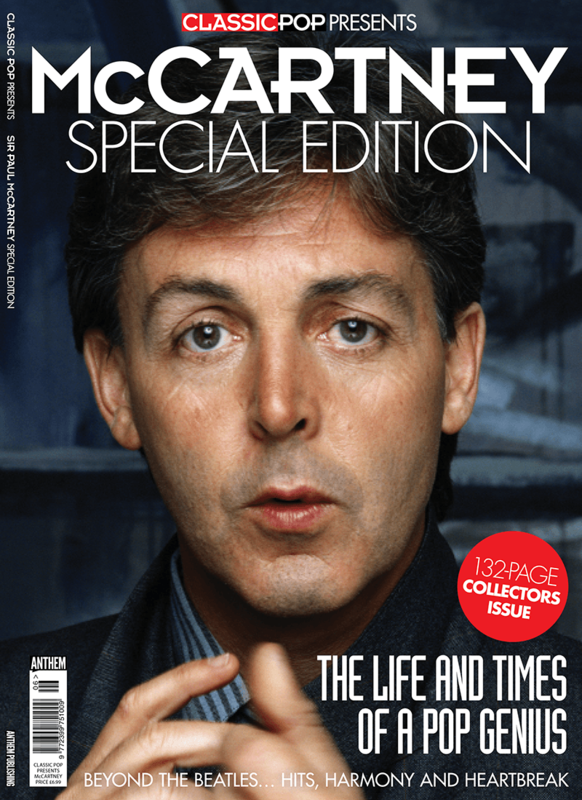 On the live front, we catch Pet Shop Boys at the Royal Opera House, delve into the diverse Latitude festival plus a whole lot more besides. 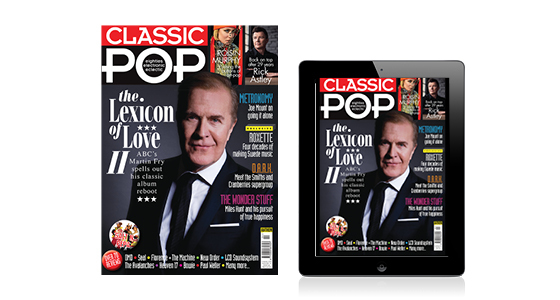 Classic Pop Issue 37 is on sale now! 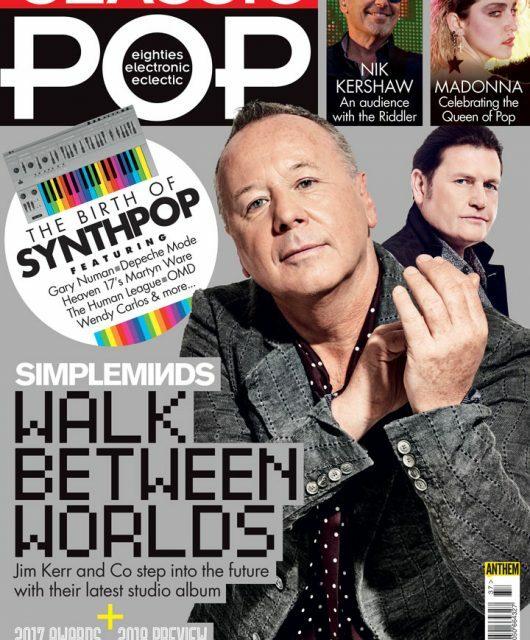 Issue 24 of Classic Pop is on sale now! 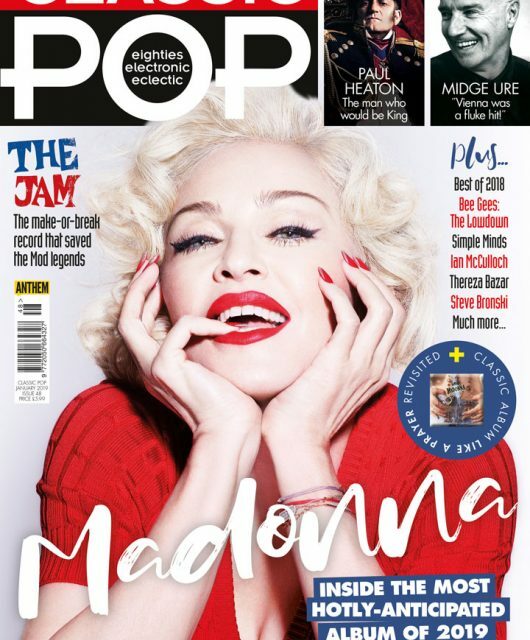 Issue 48 of Classic Pop is on sale now!